I feel like so many people, myself included, sometimes equate “nonviolence” with the act of “protesting.” Protesting may be “nonviolent,” but that doesn’t mean it’s strategic. Protesting is a tactic. It should part of a larger strategy. Also, must of us carry out protests as “symbolic acts,” meaning we are just trying to share our voices and aren’t disrupting anything. Strategic Nonviolent Conflict is a very specific term that the Metta Center for Nonviolence refers to as “the kind of commitment that regards nonviolence as a strategy, to be adopted because it is thought to be more likely to ‘work’ than violence or because violence is not a practical possibility” (Metta Center for Nonviolence). This is contrasted with “Nonviolence” which the International Center on Nonviolent Conflict describes a set of religious or moral principles and beliefs. Think about it this way, if people had just stood outside of stores and protested segregation, do you think as much would have changed? It only recently clicked for me that I really only had passing knowledge of Strategic Nonviolence. Now I’m starting to think about the ways we can be using the experience of past struggles for justice to support our efforts today. 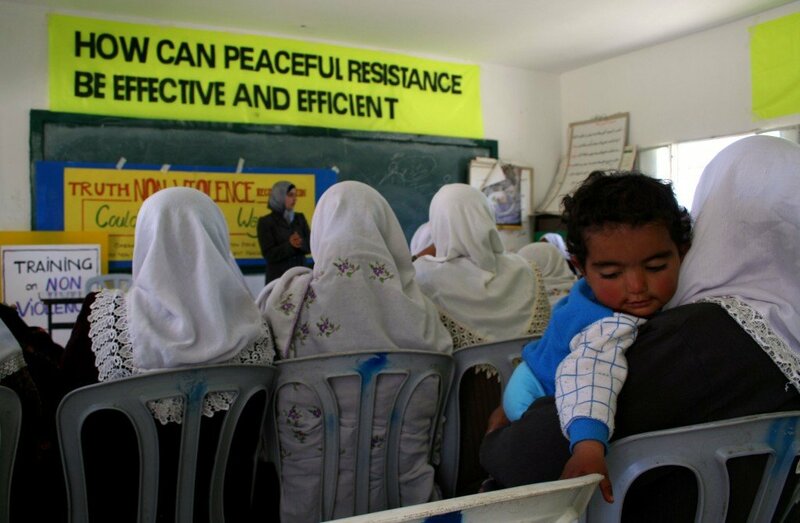 Strategic Nonviolent Conflict is NOT the same as being passive (i.e. You resist, just not physically), it is about resisting in order to bring about justice. We have to take a stand, and cannot be neutral when injustice is present. You should be trying to “win your opponent over” to your side. It’s easy to show hate when faced with violence. It takes courage to be able to respond compassionately to any opponent. Occasionally we need to challenge the legitimacy of a terrible system (e.g. segregation or mass incarceration). We can do this by removing our consent (e.g. sit-ins in “Whites only” counters or other forms of civil disobedience) for unjust laws/policies (e.g. segregation or “zero tolerance” policies). The idea is to exert enough pressure on the existing unjust system, so the cost of maintaining that system goes up. At the same time as the cost increases, the legitimacy in the system goes down. Through Strategic Nonviolent Conflict you often literally make it more expensive to keep up the status quo (e.g. economically + stress on the system’s social status). We cannot just act nonviolently and hope that is enough. We have to take the time to really plan out as much as we can. The first step for nonviolence is to choose a target/issue to focus on (e.g. protesting the Salt Tax in India), then after that you can tailor your strategy to address that target/issue over many years/decades. Rev. Jim Lawson, who trained many on how to use Strategic Nonviolence, said these words because so noticed so many people just taking to the streets without a clear plan or who to leverage their capacity to make change. Rev. Jim Lawson said it is essential for any who wish to implement a campaign of nonviolence to have this “fierce discipline and training” in order to build a movement. I believe this purpose of Strategic Nonviolent Conflict is an important tool for us to learn about and better understand, since I know for myself it can be easy to rely on a few tactics all the time and not take the time to build capacity with my fellow activists. Our movements still have much to gain from using Strategic Nonviolence, let’s make sure to use it!